App Review: Petronome for iPhone/iPad (FREE, or pay $0.99 to remove ads and add additional “pets”). App Review: Piano Maestro for *iPad only. * FREE and paid accounts available for teachers. Students who are connected to a teacher account have available to content for free. I’ve been meaning to write this review for a long time. I wouldn’t surprise me if you’ve already heard all about the Piano Maestro app for iPad! If you are not already familiar with Piano Maestro, here’s how I would sum it up: Piano Maestro is an app for iPad that provides music for the student to play, listens to the student’s acoustic piano using the iPad’s microphone (no wires required, although if you prefer to hook it up to a keyboard with headphones, you can), and evaluates the student’s playing based on note accuracy and rhythm accuracy. The student’s progress is saved over time and points are awarded, essentially “gamifying” the experience. The developer, JoyTunes, is a team dedicated to piano education and listening to feedback from teachers. When student accounts are connected to the teacher’s account, students have the flexibility of using their account via the teacher’s iPad during their weekly lessons or they can use their own iPad at home. As a piano teacher, you have probably been in the situation where you felt that using your favorite traditional piano method might not be the best choice for a particular new student’s situation. For example, perhaps you have a new student who already has experience reading music from school or band. Or an older beginner with a great ear who is largely self-taught. Or an adult student who is returning to piano lessons after a number of years. Or perhaps you have an average-age beginner who isn’t thriving in their method books and would benefit from additional supplement. Little to no illustrations or text on the page. All-in-one book, for the most part. Below is my list of some un-methods that you might enjoy exploring! As the cover states, this thin volume is a “rapid piano reader.” Teachers who appreciate a landmark (aka interval) reading approach will appreciate the way this on-staff book begins: by teaching Bass F, Middle C, and Treble G. The book provides a solid, no-nonsense approach. I think it is a great book that truly leaves the teaching up to the teacher! By the end of this 30-page book, students are playing basic rhythms (no eighth notes, unfortunately) within quarter note meters (3/4 and 4/4 time), a variety of articulations (staccato, legato) and notes covering the entire grand staff. Just a quick blog post today, announcing the winners of last month’s giveaway for hardcopies of the student piano solo composition I wrote. Congrats to Carmen, Kristie, and Martyn! I’ll be in touch by email to request your address. A free digital PDF download of the Holiday Parade piece is available here. Don’t forget — today is the last day to enter the giveaway for hardcopies of my Holiday Parade elementary level solo with teacher duet! Click here. I also wanted to let you know that I’ve been gradually adding more recommendations to my list of piano duets for sight-reading. Check out this popular post from last year here. Another old post I’ve been updating is from 2010: Over 20 Musical Spins on Favorite Games. There are links to Diatonic Dominoes, a new version of Musical Sorry, and more. Remember this set of worksheets (Matching Staff to Keyboard worksheets) I posted a couple of weeks ago? At the suggestion of a reader (thanks, Elaine! ), I have created a new digital version. Using an annotating app such as GoodNotes (my review here), you can upload the PDF to your iPad and have students complete the worksheets digitally. It’s a great way to coach students through a concept while saving paper. 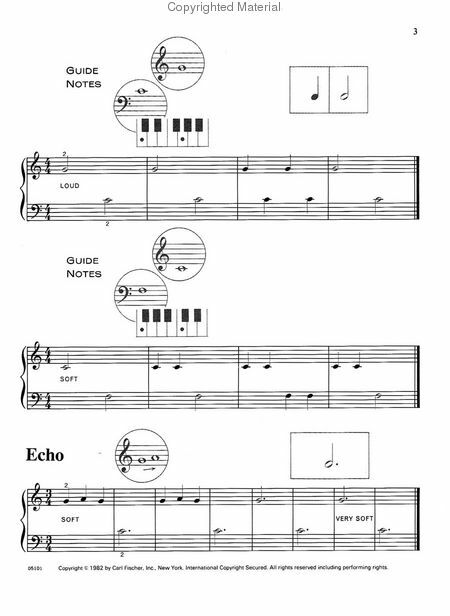 The PDF contains 20 pages, each with 3 notes that must be matched to the keyboard. You can find the other digital worksheets I have created for tablet here. For the past few months, I’ve been testing out a new digital version of this form using Apple’s Numbers app on my MacBook. The advantage of this system is that if I save the document in iCloud, I can edit the spreadsheet from my iPad in the Numbers app. Thanks to iCloud, everything stays synced. I am loving this system so far!